Cloning Users is a time saver! 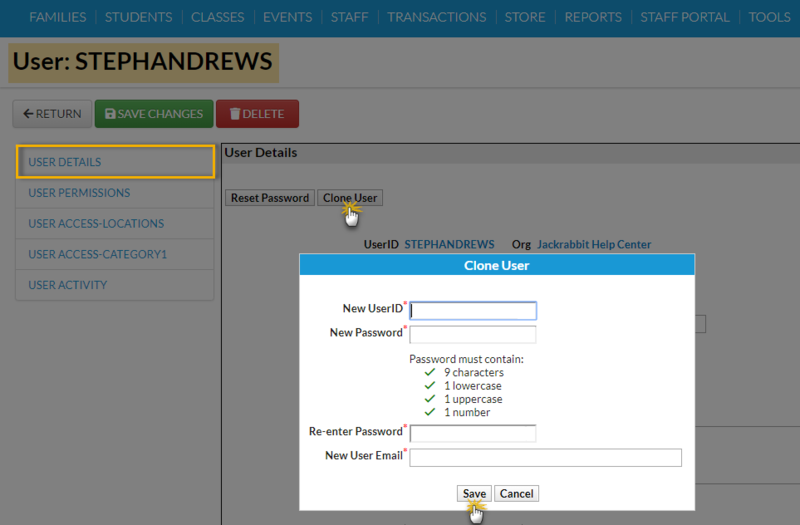 Set up one User ID with permissions and click the Clone User button to create more users with the same permissions. Use the User ID link to access the profile of the User ID you want to clone. Select the Clone User button. Enter a New Password and re-enter it. Add the email address for the user. Click Save and OK in the confirmation window. When the cloned user's User Details page opens, add their first name, last name, etc.